As fall sets in, your customers may start asking you about mulch – and if they aren’t, it’s a great topic to bring up with them. Not only is mulch aesthetically pleasing but we all know the crucial role it plays in protecting plants, shrubs and trees from winter. But working with mulch can be a hassle. It’s messy and quite the expense when you need large quantities. Don’t worry! We have a solution for you. Try Mountain Bark Mulch Bales, an easy add-on sale to any project as well as the best way to reduce your cost on supplies, keep your money in your pocket all while maintaining quality of work. What is a Mountain Bark Mulch Bale? 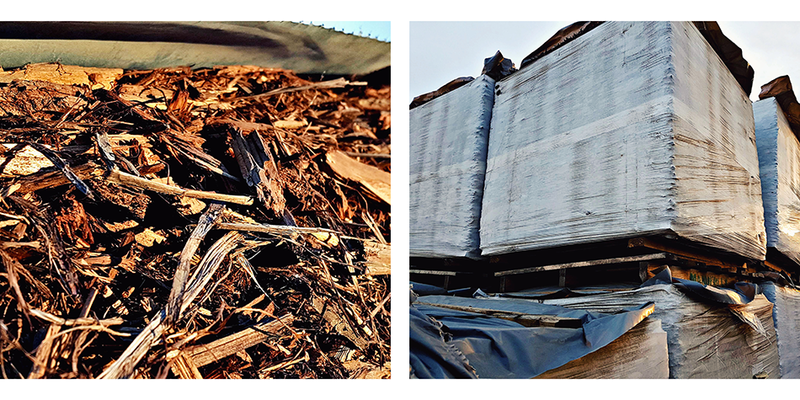 A Bark Mulch Bale is a 5.5 cubic yard bale of premium Western red cedar mulch. Each bale of reddish-brown coloured mulch can cover 500-600 square feet at a depth of 3”- 4”. Mulch bales are the most convenient way to get a load of mulch to your job site. They are delivered on a pallet for easy material handling and storage. Even better, a mulch bale can fit in the bed of a ½ tonne truck. This eliminates the need to haul a trailer simply to deliver mulch. It also offers a cleaner solution to bulk loads and retail bags. A bale will create less mess around a job site resulting in less cleanup for your crew at the end of a long day. It’s no secret that mulch beautifies any landscape, making it a very easy product to upsell to your customers based on the esthetics alone, but the functional benefits are worth noting. Mulch helps to conserve water, decreases weed competition, it has anti-fungal properties and provides a protective barrier from the elements. These are all benefits your customers will appreciate and be happy with, resulting in word of mouth referrals growing your customer base. 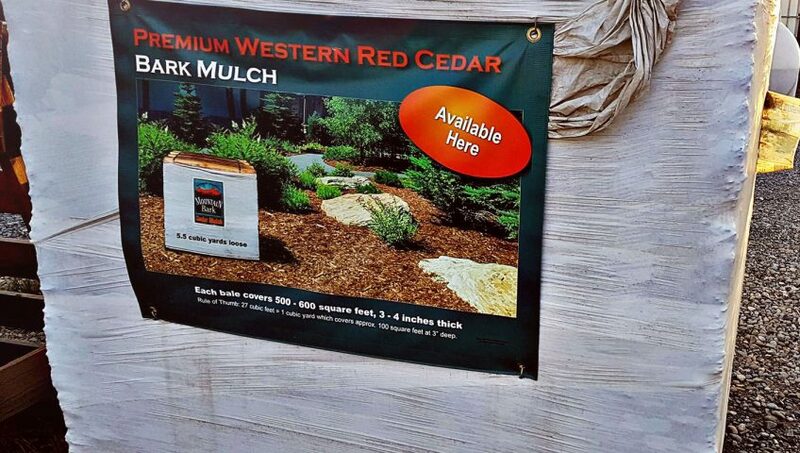 Mountain Bark Mulch is a simple and effective way to increase your revenue with little extra effort. Now’s the time to try a mulch bale on your projects! It’s vital to mulch this time of year to protect vegetation from mild winters and cold springs. 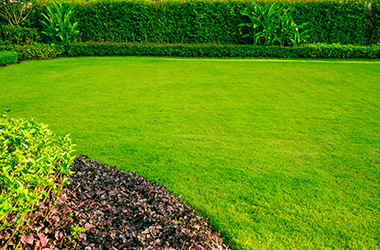 Assuring there is an adequate layer of mulch surrounding the greenery on your projects heading into winter will result in less spring maintenance to repair and replace winter damage. That means fewer Spring warranty calls. Where you will really see the benefits of using Bark Mulch Bales is on your bottom line. Compared to retail bags and bulk loads of mulch, our 5.5 cubic yard bales are the most cost effective choice. Without sacrificing quality of material, you can save money on inputs for a job by using out mulch bales leaving more money in your pockets at the end of the day. Put the finishing touches on your next landscape project for less with a Bark Mulch Bale.